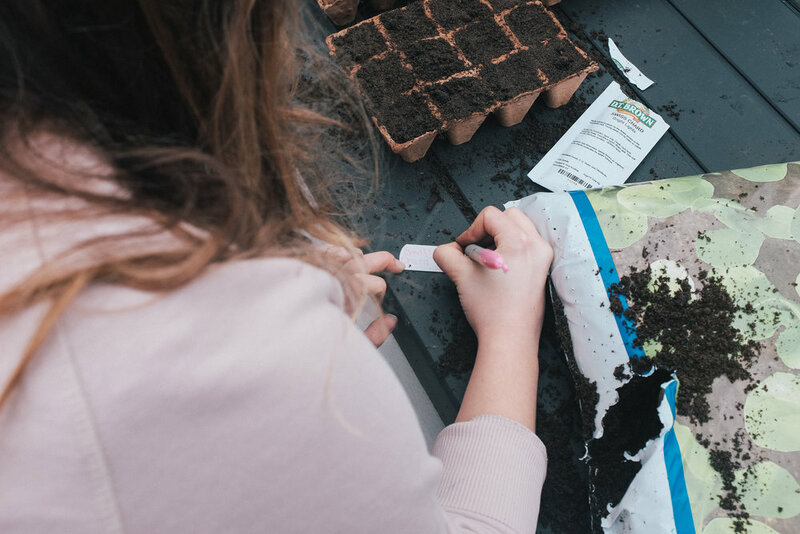 Essentially, multi sowing is where you sow more than one seed per cell (Typically around four seeds) and allow the plants to grow in a clump before planting out into the ground. By doing this, you will be harvesting more produce, but in the same amount of space. Thus, saving time, greenhouse space and compost! Just make sure when planting you leave double the gap between multi sown plants then you would with singular plants. spinach, beetroots, leeks, lettuce, chard, onions, peas, turnips, celery and basil. Today I am sowing Swiss Chard 'Bright Lights', Perpetual Spinach and Lettuce 'Little Gem' from the supplier D.T BROWN SEEDS. I am using the 'Seed' compost from John Innes as it combines sand for proper drainage and vermiculite for water retention. It is my first time using this range and will do a follow up on my thoughts. 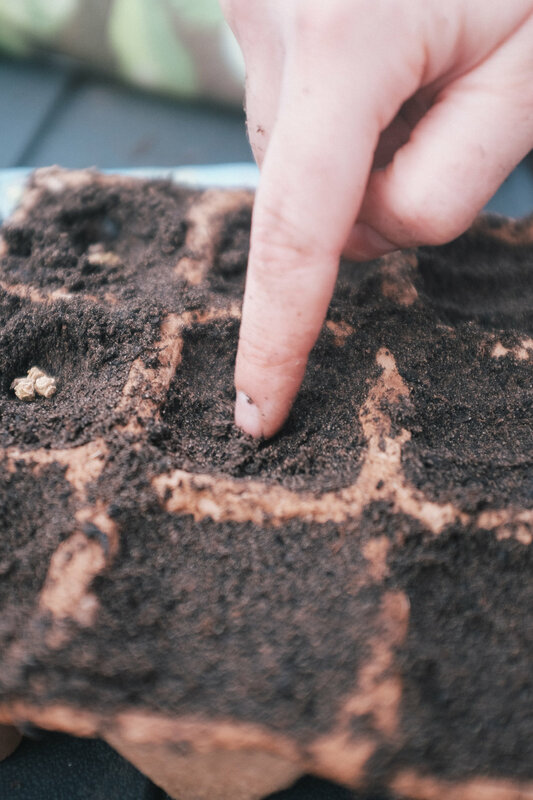 Firstly, I place a generous amount of compost into each cell and press down firmly once it reaches the top so that the compost becomes nice and compact. Using my index finger, I create a hole for the seeds to sit in, around 0.5cm deep. Next, count four seeds per cell and drop them into the small hole you have created. Don't stress about adding an extra seed or two; you can also pick them out once they have germinated. Gently scatter an extra helping of compost on top and water in well (use a sprinkler attachment for even coverage of water). 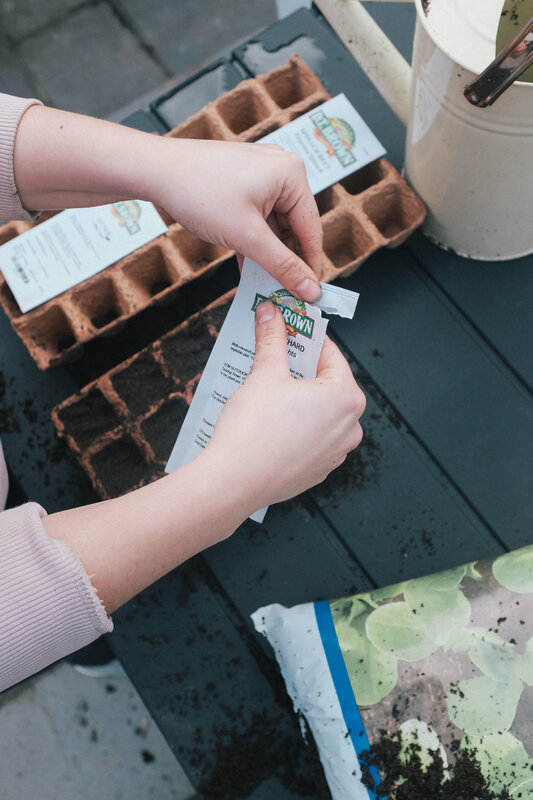 Place seedlings in a greenhouse, cold frame or on a windowsill for approximately four-five weeks before planting out. This will be my first year exclusively using the multi sowing method for leafy greens, and I am really excited to see the results! Not long now and I will (hopefully) have an abundance of fresh, healthy salad leaves just outside my door. Have tried multi sowing before? Will you be doing it again this year? Let me know!